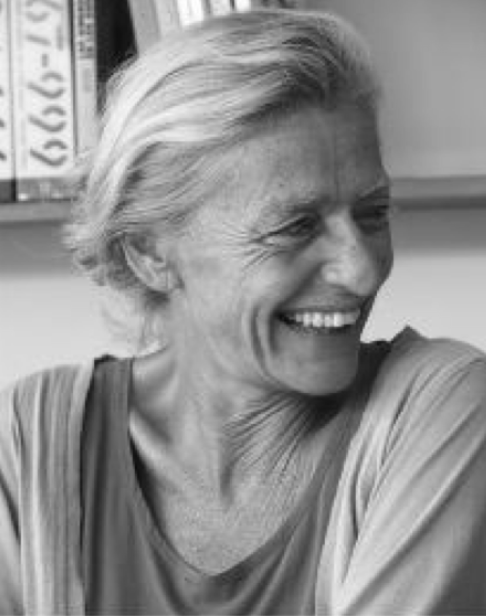 Santa & Cole is a small, independent and global editor of well-designed products, that has been exploring industrial design since 1985. 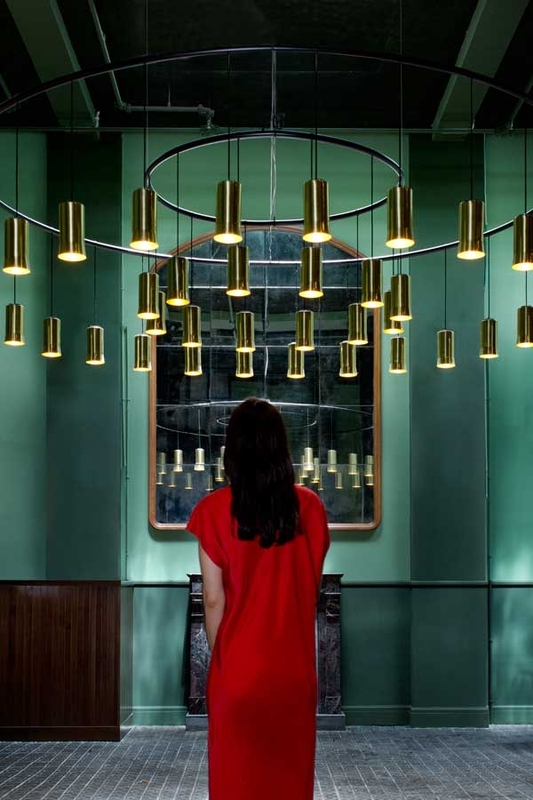 Although produced in Belloch, Spain they have works installed in over 70 counties. 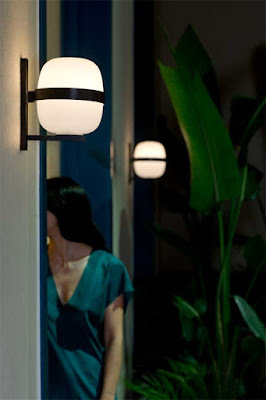 The breadth of their collections is household, lighting, and urban furniture. The Santa & Cole philosophy is not accumulating, but rather selecting; not delighting in quantity, but rather in quality; not to show, but rather to share. Inform interiors is honored to host an Evening with Nina Masó on June 8th from 5:00 - 7:00pm. Enjoy Spanish bites and wine and see Santa & Cole products in the showroom. 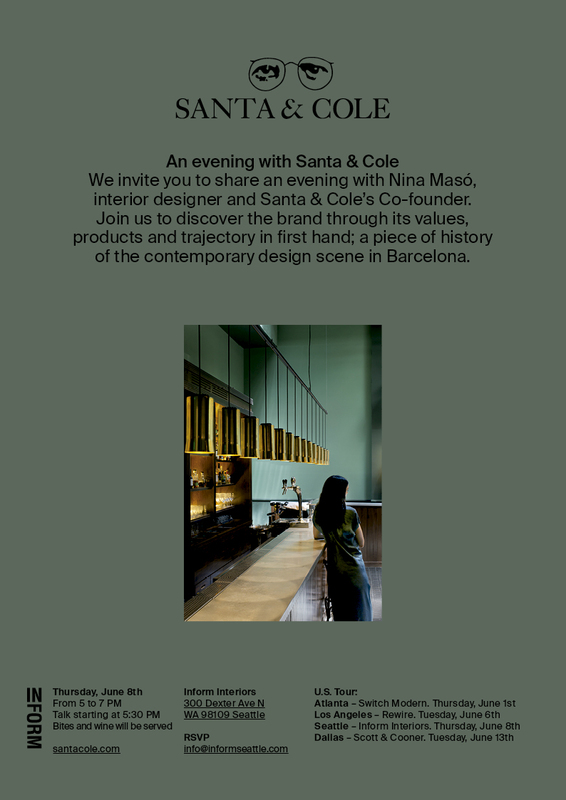 Nina Masó a co-founder of Santa & Cole will be visiting the Inform Interiors Seattle Showroom for a talk and reception.